» Which operator groups have already embraced vertical discrimination by zero-rating their data-hungry internet services such as film stores, TV, cloud storage and music streaming? 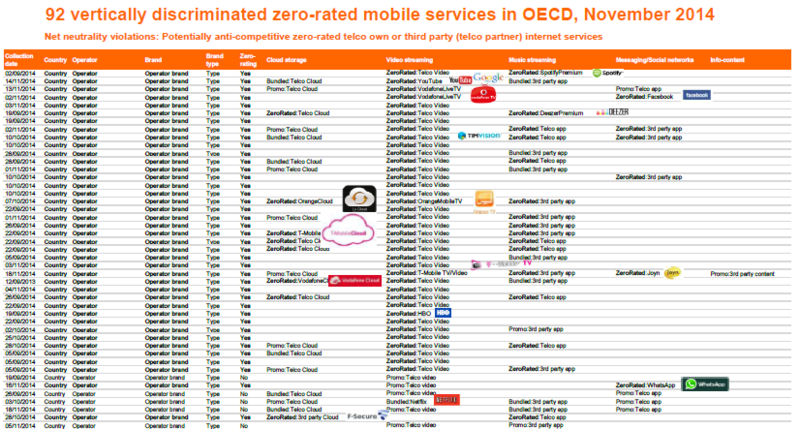 » Which internet companies, beside Google, have joined the telcos and embraced vertical discrimination (3rd party zero-rated apps) of mobile internet access in OECD? » Google’s YouTube is being zero-rated by a European operator group. Does Google support paid-prioritization and discriminatory zero-rating?